As a full featured apps transfer tool for your iPhone, Xilisoft iPhone Apps Transfer can meet all your needs for managing iPhone apps: copy and transfer iPhone apps to PC/iTunes, delete apps on your iPhone as well as move the apps back to iPhone or transfer to another iPhone. Moreover, you can add/save/delete app documents on your iPhone directly with this smart software. And this app transfer tool for iPhone is quite simple to operate with drag-drop supported and app-located search box. 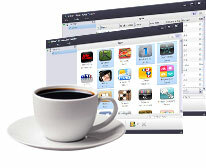 Apps can be backed up to computer or iTunes in few clicks. 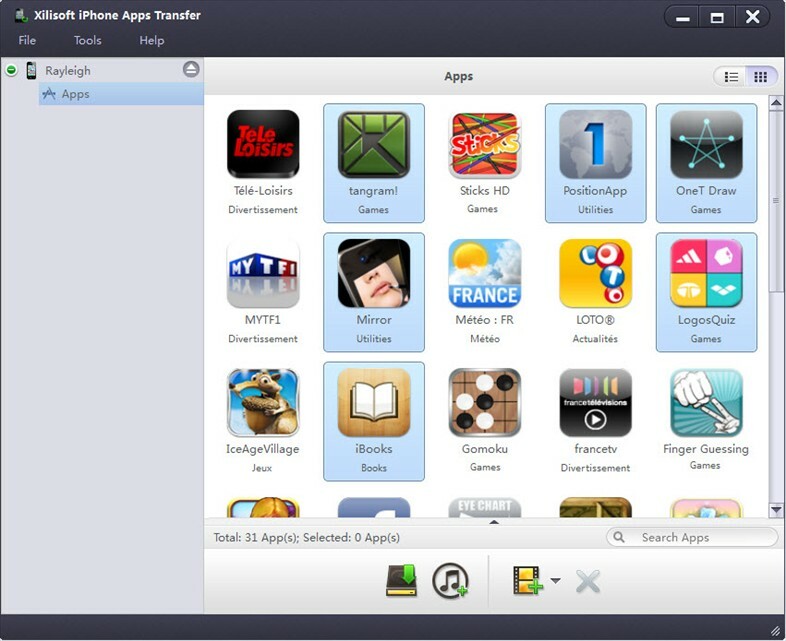 Or you can transfer apps from PC to iPhone, or delete the app directly. 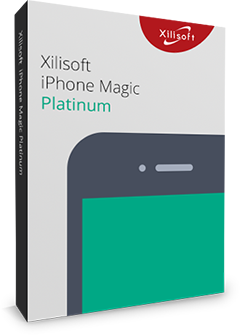 With Xilisoft iPhone Apps Transfer, it will be simple to locate any app you need. You only need to input any letter in the name of the app to locate it. 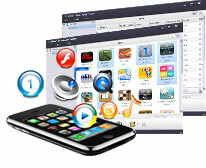 Once the iPhone is connected to your PC, all the iPhone apps will be showed up automatically. Add the app documents from PC to iPhone in one step. Copy the app documents to computer if you need to open the documents on PC or backup them. Delete any app from your iPhone directly within this software. As long as you click an app, the documents will be showed up with Name, Modified time and Size. Transfer several apps in one time, you just need to choose them and then transfer. Support all iPhone models, such as iPhone 3GS, iPhone 4, CDMA iPhone 4, iPhone 4S, iPhone 5, iPhone 5s, iPhone 5c. Support all iPad models, such as iPad Wi-Fi, iPad Wi-Fi+3G, iPad 16GB, iPad 32GB, iPad 64GB, iPad2, New iPad, iPad Air, iPad mini.